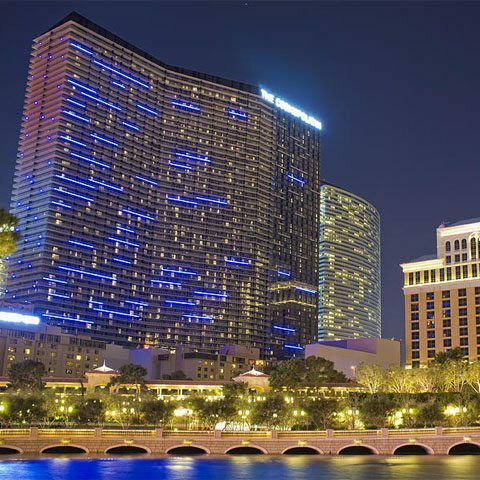 Located On the Las Vegas Strip with views of Planet Hollywood and Bellagio fountains. Enjoy this chic casino hotel residential-styled living spaces with private terraces and breathtaking skyline views. Explore our one-of-a-kind restaurant collection featuring the Las Vegas debuts of world-class chefs. Let our stylish art and design exhilarate your cultural sensibilities and our vibrant nightlife capture your imagination. Our eclectic mix of hand-selected boutiques, an unrivaled Pool District, 100,000 square-foot casino, and serene Sahra Spa & Hammam complete an unforgettable luxury experience. The Cosmopolitan offers you unique gaming experiences and more chances to win. Play and win on slots all year long in our 100,000 square-foot casino. The Cosmopolitan of Las Vegas, we have a wide variety of slot machines – 1,478 reel spinning, video reel and video poker machines with denominations ranging from $0.01 – $500. Classic table games like Blackjack, Roulette, Craps and Baccarat come to life at The The Cosmopolitan. Other variations available for your gaming pleasure on the casino floor include Let It Ride*, Fortune Pai Gow Poker*, Three Card Poker℠*, Ultimate Texas Hold’Em and more!